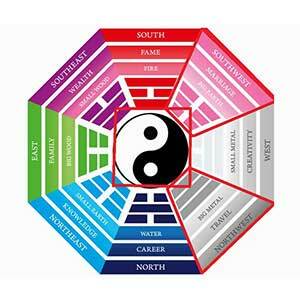 The ranch of Eight House Feng Shui suggests that each of the eight directions viz. North, North East, East, South East, South, South West, West, North West radiates different kind of Qi to which people and houses respond to either positively or negatively. This branch is used to determine your lucky (four) and unlucky (four) directions (or areas in your house). “Qi is the force of Life, the substance of all things; as the Praana to the Hindus.” The Eight House Feng Shui divides the eight directions into two groups of four directions- The East Group and The West Group: East Group: East (Zhen), South East (Xun), North (Kan), South (Li) West Group: North West (Qian), South West (Kun), North East (Gen), West (Dui) Generally, for those belonging to the East Group, all four of its associated directions are favorable, while all directions of the West Group are unfavorable. Similarly, for those belonging to the West Group, all four of its associated directions are favorable, while all the directions in the East Group are unfavorable. 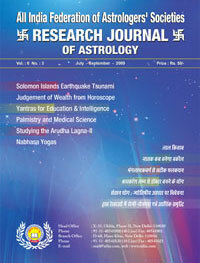 Also it is seen that people born in the same group are more compatible than with those belonging to opposite group. 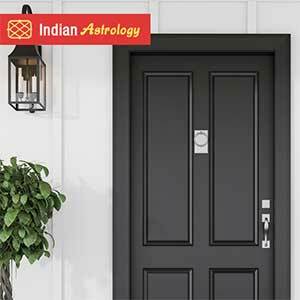 Calculate your Personal Direction (Trigram) The special formula that determines which direction (trigram) and its associations belong to you is based on two things: your year of birth and gender. Once the personal direction (trigram) is determined, one can then determine which of the eight magnetic directions are beneficial and which are detrimental to your well-being. Personal Direction (Trigram) Formula: Male 1	Add the digits of your birth year. For example: A male is born in 1981 then 1 + 9 + 8 + 1 = 19 2	Further add the resultant number till you get a single digit number. Continuing the above example then 1 + 9 = 10; 1 + 0 = 1 3	Subtract the resulting number from 11. If the result is 10, add the digits until you get a single digit number as 11 – 1 = 10; 1 + 0 = 1 The resulting number is your Ming Gua, your natal or your personal direction (Trigram) Note: If your personal Gua is 5 (for males), then use 2 as your Gua. Personal Direction (Trigram) Formula: Female 1	Add the digits of your birth year. For example: A Female is born in 1981 then	1 + 9 + 8 + 9 = 27 2	Further add the resultant number till you get a single digit number. Continuing the above example then 2 + 7 = 9 3	Add 4 to your resultant. If the result is two digit number, add the digits until you get a single digit number as 9 + 4 = 13, 1 + 3 = 4 The resulting number is your Ming Gua, your natal or your personal direction (Trigram) Note: If your personal Gua is 5 (for females), then use 8 as your Gua. 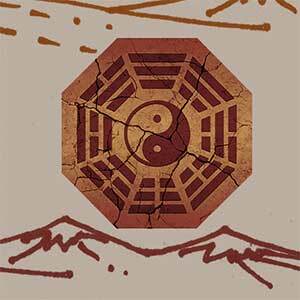 Now remember the Bagua Grid or the Luosho diagram to determine the direction with your Personal Direction (Trigram). The grid is reproduced below for your ready reference. 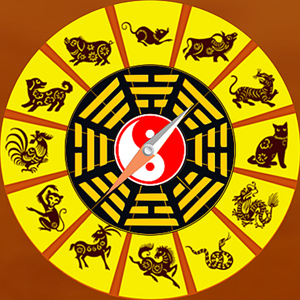 Application / Use of Personal Direction (Trigram) or Ming Gua through “Eight Wandering Stars Theory” The eight types of Qi is collectively known as the Eight Wandering Stars. 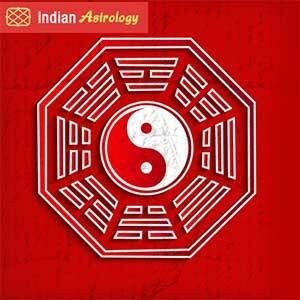 Under this theory, the eight directions are divided as four favorable and four un favorable. Here the letter “F” is associated with the Fortunate Qi, with F1 as the most favorable direction and F4 being the fourth favorable direction. Similarly, the letter “H” is associated with the Harmful Qi, with H1 as the least harmful direction and H4 being the most harmful direction. 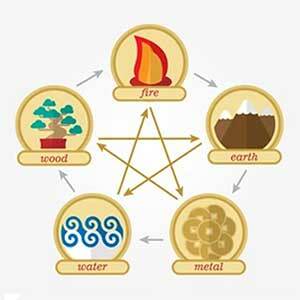 Level Phase	Auspice F1	Wood	Prosperity and Respect F2	Metal Longevity and Romantic Relationship F3	Earth	Good Health and Harmonious relationships F4	Wood	Peace and Stability H1	Earth	Accidents, Arguments & Injury H2	Water	Quarrels and failed relationships H3	Fire	Accidents, Injury and fire H4	Metal	Disease, misfortune and unproductive careers. Now, after determining the Personal Direction (Trigram), the following table shows how each of the eight Wandering Stars affect the given Personal Direction. Continuing with the above example for the male born in 1981, having the personal direction (Trigram) as 1 – North (East Group), the favorable directions are South East (F1), South (F2), East (F3) and North (F4). On the other hand, the unfavorable directions are North East (H1), North West (2), North East (H3) and North West (H4). Once the favorable and unfavorable directions for a person are determined, he/she can utilize them for improvement of health, career, livelihood and relationships. Continuing with the above example for the male born in 1981, it is most advantageous to face towards South East (F1) direction, followed by F2 and F3 at work to promote fortune and productivity. Similarly, the said male can prefer North (F4) to promote restful sleep and attain peace at night. 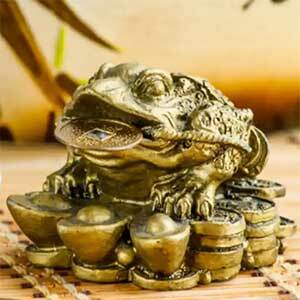 Compatibility between people through Eight Wandering Stars Theory The Eight Wandering Stars Theory also enables to find the best compatible person. 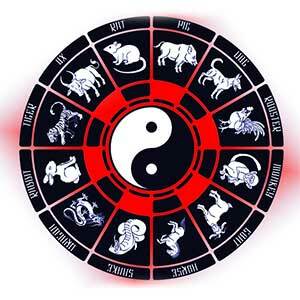 For this firstly determine the Ming Gua or the Personal Direction of the person in question. If his or her Personal Direction (Trigram) falls on the F1 or the F2 section of the above chart, then the relationship for marriage, friend, family member, boss, colleague etc will be excellent. If it falls on F3 section of the chart, the relationship will be very good and so on. On the other hand, if it fall on H1 then the relationship will be satisfactory. If it falls on H2 then it will be bad. And, if it falls on the H3 or H4 sections of the chart, the relations can be disastrous. Continuing with the above example of the male born in 1981, having his personal direction (Trigram) as 1- North gets married to female born in 1985, having her personal direction (Trigram) as 9 – South. Then as per the Wandering Star Table (I) above, the female is F2. Therefore the relationship will be excellent. Table (II) below show a ready reference of the People Compatibility Chart discussed above. From the above People Compatibility Table, it clearly depicts that a person having his/her personal direction (Trigram) as 4 – South East (East Group) then he/she will be best compatible with persons having Personal Direction (Trigram) as 1-North (Kan) which is F1 in the table and worth compatible with persons having personal Direction (Trigram) as 8 – North East (Gen) which is H4 in the table and so on. With this theory, one can determine the Personal Directions (Trigrams) of individuals and get to know the most / least compatible directions of your house/ office or work area. Also one can determine the most / least compatible persons in one’s relationships at home or at office.